The lighting project will provide energy-efficient LED lighting and will be installed in spring 2017. NIPSCO was an early supporter of the idea of preserving two acres on the shores of beautiful Pine Lake. The project, begun in 2011 was designed to protect the view of Pine Lake forever. Residents and visitors driving through La Porte on Highways 39 and 35 are treated to an unfettered view of the 526 acre lake. What was going to be a six story condo, will now be open to all for generations to come. Angie Nelson Deuitch, NIPSCO Public Affairs Manager, said, “Unity Park is a showcase for La Porte, providing access to Pine Lake for outdoor activities, events, and a great view of the sunset. It will be a benefit to residents and visitors alike, and NIPSCO is proud to help assure that this great community asset is developed to its fullest potential.” Unity Park was gifted to the City of La Porte from Unity Foundation in fall 2016; however, Unity Foundation will stay involved to complete the project in 2017. 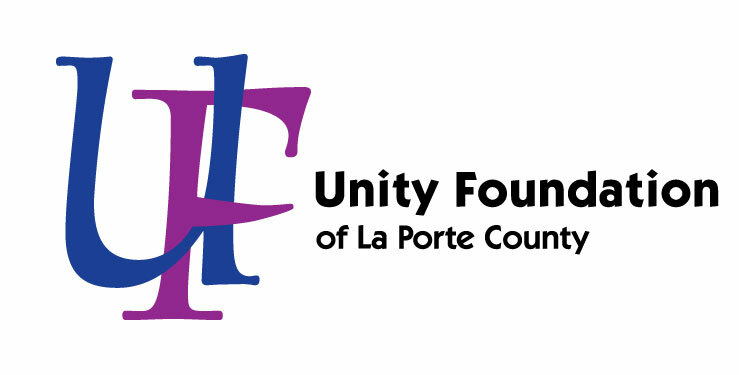 For twenty-five years, Unity Foundation of La Porte County has positively impacted donors, nonprofits and local communities. As La Porte County’s community foundation, it manages nearly $29 million in assets, administers more than 325 charitable funds, and has distributed more than $15 million through direct grants and scholarships. The Council on Foundations has deemed Unity Foundation in compliance with all Indiana and national ethical and operating standards for community foundations. Unity Foundation’s mission is to strengthen La Porte County now and forever by building permanent endowments; providing leadership; offering philanthropic vehicles for everyone; and, being a catalyst for social and economic vitality. For more information, please visit www.uflc.net or call 219-879-0327.